Studiotale is a video production company specializing in 2D animation videos and Ad Films. We believe that our videos help organizations and business to simplify complex ideas and educate customers through our creativity. 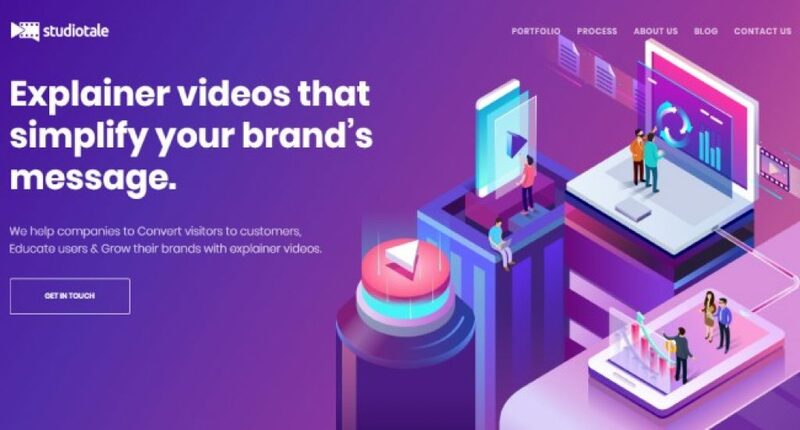 We produce Explainer videos to everyone from startups to established organizations which not only illustrate ideas and products but also assure measurable results. We are backed by a team of very creative and hardworking animators, Directors, content writers and designers that can interpret ideas into interesting and witty videos. What problems does Studiotale solve? We help companies to explain their story using memorable and engaging explainer videos. B2B & B2C Companies: Mostly Tech products. We love art, design and all things creative. We’re creating video content because we have a deep passion for it; from the initial conceptualization to adding the finishing touches to the final audio. Our work is an extension of ourselves and we’re constantly striving to improve it. To become a video production marketplace. Koushik Marka: Experienced Founder with a demonstrated history of working in the video production industry. Video Marketing Specialist, Strong entrepreneurship & professional skilled in Vector Illustration, 2D Animation, Motion Graphics & Digital Marketing.